Double the Blessings: Where's Heather ??? 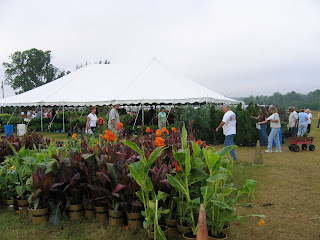 We found out about the most incredible plant sale. There is a large commercial nursery in the middle of BFE. They only open to the public a few times a year with there giant wholesale. As many of you know we just moved into a new house, and we needed some plants...Heather was not so sure about shopping in a cow pasture, but apparently it did not slow her down any.